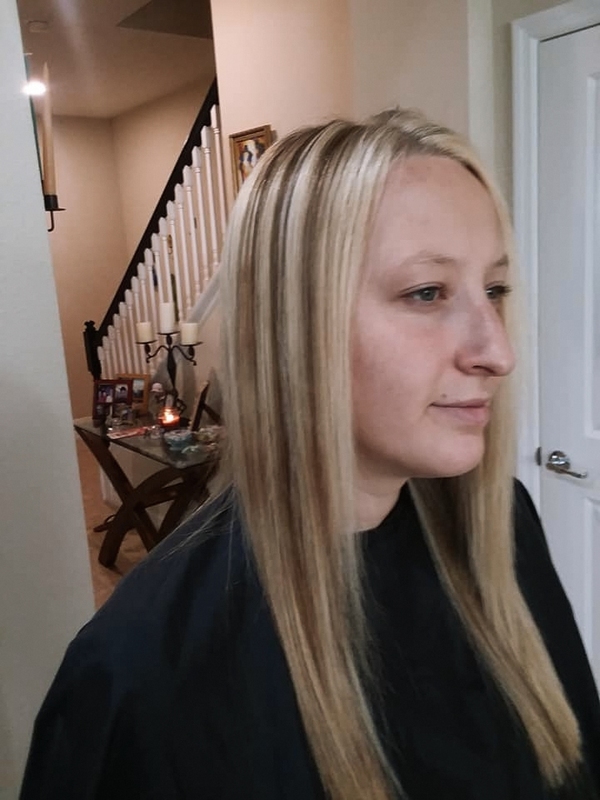 The model above requested a beige blonde hair color and medium blonde low-lights. I started with a new hair color line called Jack Wynn for the process. This is a new line I will be using in the future for my clients and photo-shoot models. I started of with the Brilliant Lightener and did a basic foil wrap to the clients wish’s. Processed the service with a level 6-Gold low-light formula with 10 volume developer for deposit only. Below is the RAW finish. 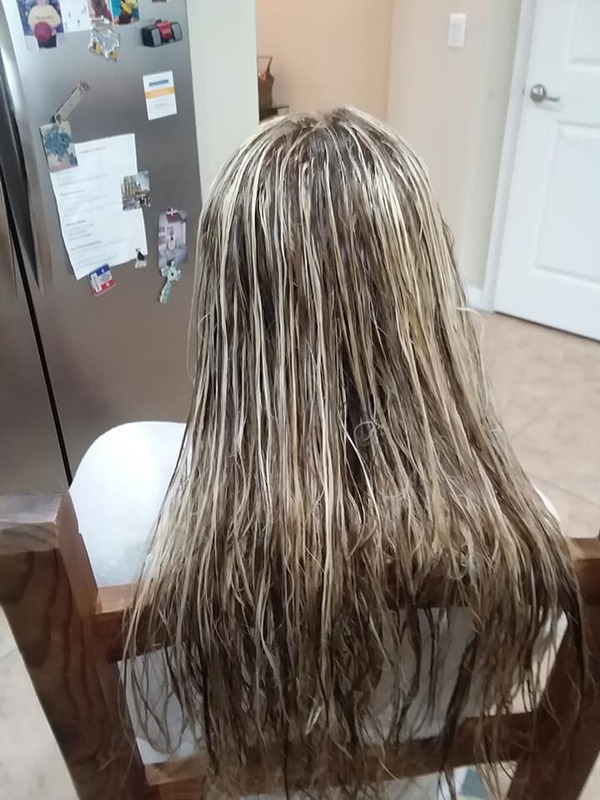 I did not get a lot of breakage with the lightener. So all went well with the process. The next step was to all a more natural tone to the hair color process. I used a 9.13 from the Jack Wynn Restore Demi-Permanent line and followed manufacturers advice and mixed it with 1-1.5 developer which was 3%. Customer was happy. I don’t have to brag a lot about this product at all, anything from the Frieda line is excellent. Frizz Ease Smoothing Creme is a thumbs and it should be in your bathroom or salon. This product will work hands down for all in the salon industry’s professional products. It will beat them all by a mile. Smooth-on cream keeps straight styles looking sleek. Frizz-Ease Straight Fixation Smoothing Creme helps block out humidity while nourishing moisturizers infuse each strand. Formula is enriched with Thermo Guard Complex that protects against damage caused by heat styling tools. I used it this past week for a photo shoot and it held up extremely well. And in this humidity in Florida you need all the protection you can from a smoothing product. Containing Sweet almond oil and Milk Protein, formula smooths and conditions hair. Lightweight creme smooths away frizz and keeps hair soft & moisturized for up to 24 hours while helping block humidity. If you have medium thick hair with large curls and your hair tends to become frizzy during humid conditions or windy weather. 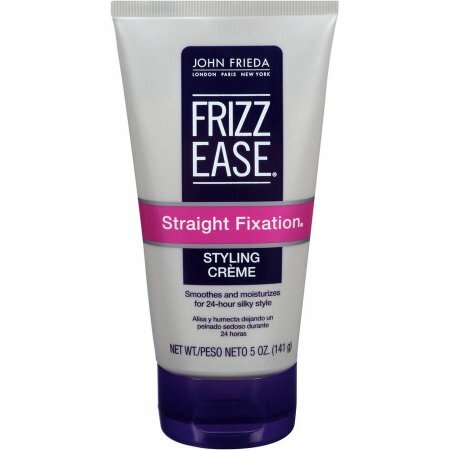 Use John Frieda Straight Fixation® Smoothing Crème you will absolutely love it. Not only does your hair no longer become frizzy but the texture feels so much silkier and smoother. I highly recommend it to any one with similar problems! Lovely Product to use !! !